In a blink of an eye, our lives changed. Everything happened so fast that I didn’t even get enough time. One day he was playing on our laps and a few days later he had to be fed with tubes. My baby is so sick, he can’t sleep more than an hour now. Tashreefa and I got married in 2016 and we started planning for our baby only in last year. Our happiness knew no bounds when we had our first child Zayan was born. He is the apple of our eye. We started planning for his future soon after. I work as a driver for a furniture shop in Kerala. It is difficult to carry out the expenses of a family with a newborn with the little income I have. However, I have always tried to fulfill all the requirements of my family. Our happiness with Zayan didn’t last long. He was born a healthy baby. But 45 days after his birth he started having white stool and his skin was turning yellow. 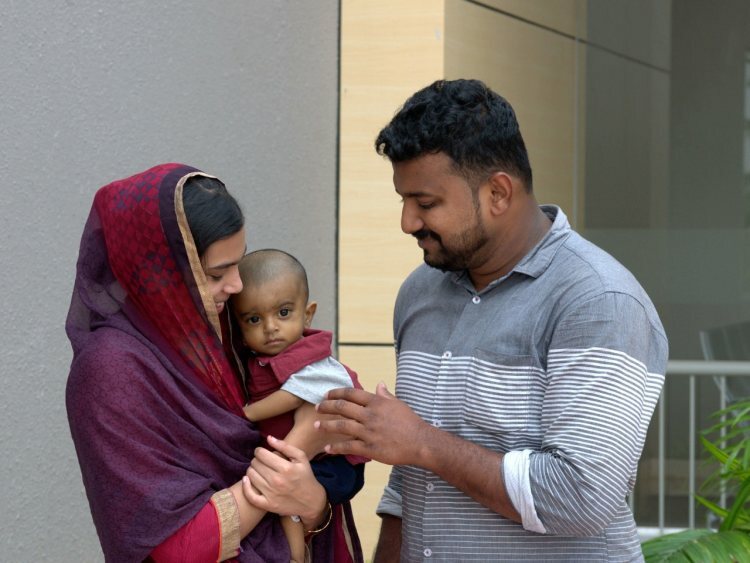 When we took him to the doctors in Kozhikode, nothing severe was detected. He had mild jaundice. But his jaundice didn’t go away for several days. Next time when we went to the doctors, they referred us to a bigger hospital. 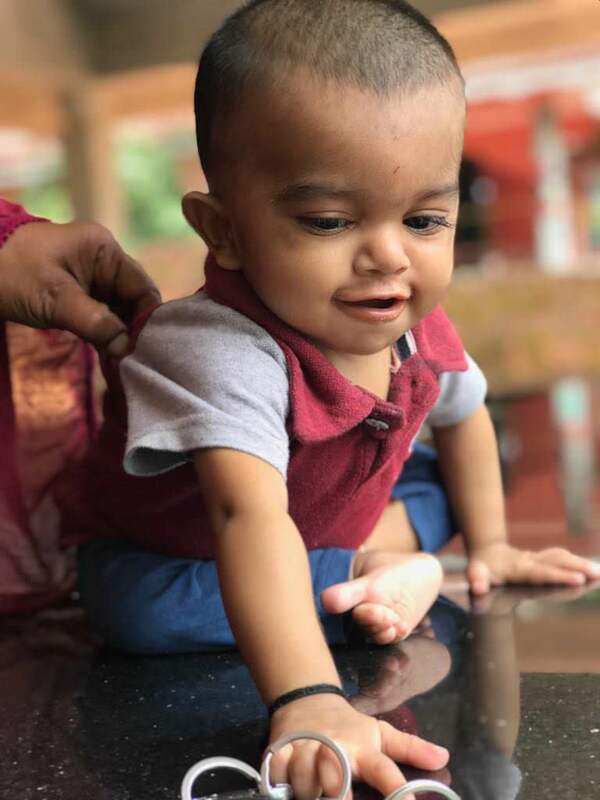 When the tests were carried out in this hospital, to our horror we discovered that our little 8-month-old has decompensated liver. 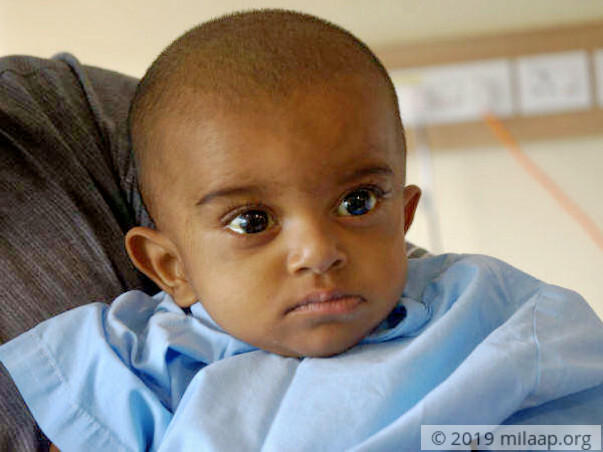 For months, he had been suffering from liver disease and his liver was damaged. 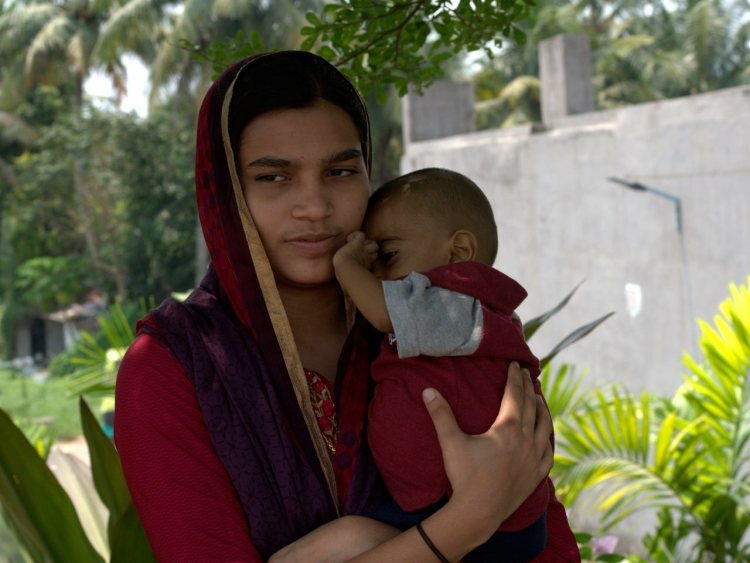 He had constant jaundice and his body was swelling up. We were relieved when the doctors told us that Zayan’s disease could be cured with medicines. But the relief didn’t last long. My baby continued to be sick. 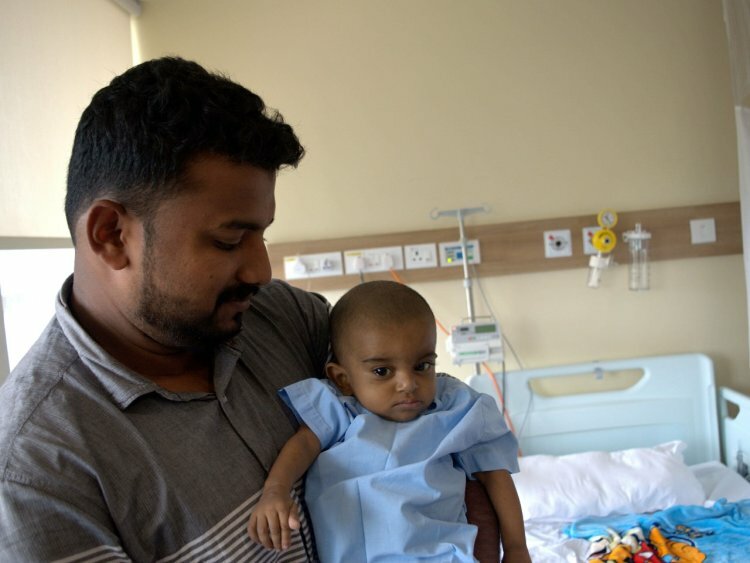 Without a liver transplant, he could not be saved. The strong woman that I knew Tashreefa was, is gone. She broke down completely. It is difficult for me to console her. We have to visit the doctors very often and I am extremely scared to take her along. She is terrified of the equipment our baby is surrounded with. I am scared that she will suffer a severe mental breakdown and I will lose her too. Doctors have said that my baby needs to increase weight. Whatever he is fed doesn’t stay in his body because of the condition. What has made Tashreefa’s trauma worse is that Zayan is now being fed with tubes. She breaks down every time when Zayan needs to be fed. I don’t know how many sleepless nights my wife has already had. I have become a father very recently. When we welcomed Zayan, I thought I would gradually learn how to be a good father. But now, I have had to learn everything so quickly. Tashreefa was the stronger one among us. Even her condition is unbearable for me. Zayan is very small. He has neither learned to speak nor take his baby-steps. Instead of watching him grow we are forced to see him suffer. He is so unwell, he can't sleep for more than an hour. What parent can sleep in such a situation? Earlier, we didn’t understand that he couldn’t sleep because of his intolerable pain. He can’t speak but his eyes have a glazed look. When we try to feed him with the tubes, he cries. I don’t understand what to do. I can’t stand my baby go through so much pain. I hope no other parent sees their baby suffering the way I have to see every day. We have been really blessed with our relatives and friends. I cannot take my baby to the hospital on the train because he is at high risk of infection. My friends have helped us take him to the hospital in their vehicles. My relatives have so far helped us with arranging the finances. I have no money left to take care of the cost of my baby’s treatment. Doctors have said that I can donate my liver to my baby. I don't know how my health will be post the surgery. But nothing matters if it can save my baby. I can save my baby with my life. 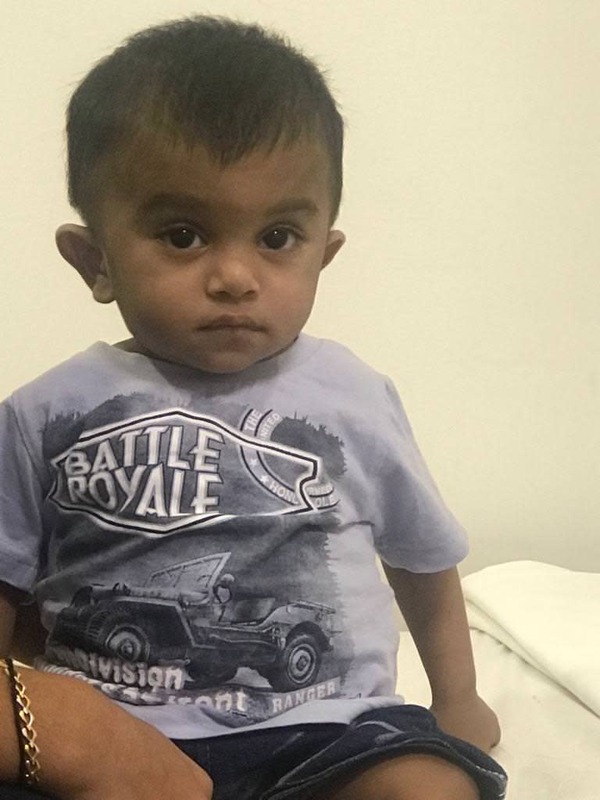 Every time I take Zayan to the doctor, I have to spend about Rs 12,000. We have already spent Rs 2.5 lacs until now and I have no money left to save my baby. My relatives have helped a lot so far. But even they have limited resources and they are unable to help me anymore. I want my baby to live a life that he deserves. I want my wife to become better. I want to get back the happy family that I had. But that is only possible only if my baby gets a liver transplant. Otherwise, I will not be able to save him. 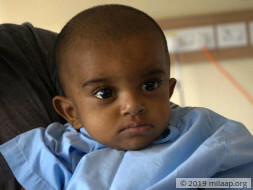 The cost to save him is Rs 12.5 lakhs which is a huge amount for me. I have no means to gather such huge amounts of funds. 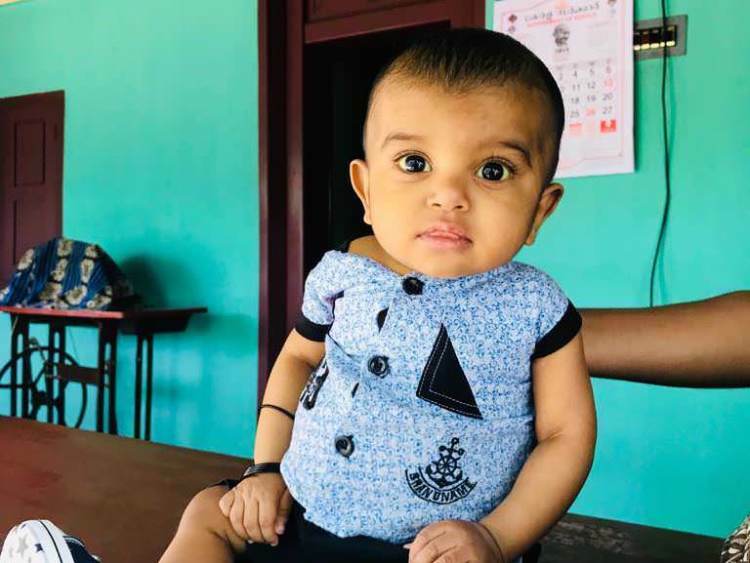 Only your support can help my baby. 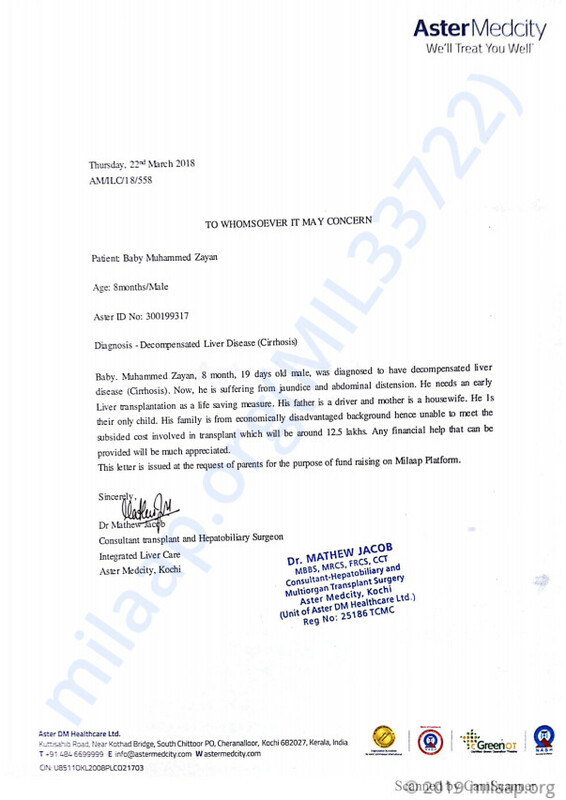 Disclaimer: 100% of funds raised will be transferred towards Muhammed Zyan's treatment. 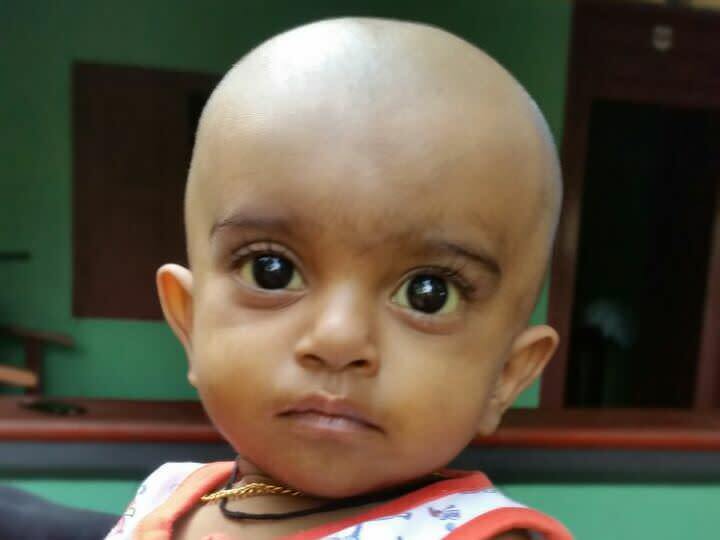 Every contribution will be matched to raise funds faster and help little Zyan. This fundraiser campaign is supported by The Pravin Agarwal Fund. Here's a quik update on Muhammed Zayan. He is currently at home and is doing well. Thank you once again for your love and support. Here is the recent photo of his during the follow up at the hospital. Zayan is at home and is doing well. He is following with the doctor on regular basis and there are no complications so far. We're really thankful for the love and support you have shown so far. Here is a recent picture of zayan. Zayan is doing well and is improving day by day. He has now gone back to his hometown but he is on periodic review with us. We will keep you posted on his progress.